I was provided product from Oriental Trading in exchange for a blog post. No other type of compensation was received. All opinions are my own. Animal birthday party? Yeah it seems a bit broad to me too, but it was fun. Check out the details below on how this whole thing came about. I am a huge birthday fan and I am a huge party fan. 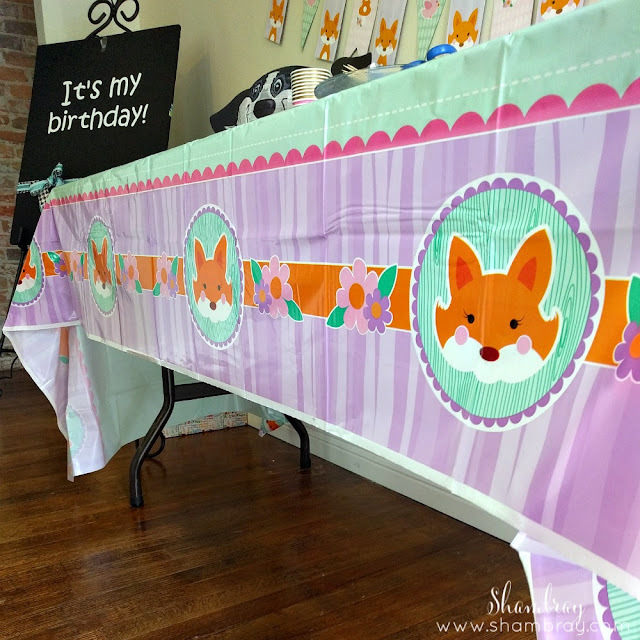 So I love throwing big birthday parties. However, this year we gave my daughter a trip to Disneyland for your birthday. 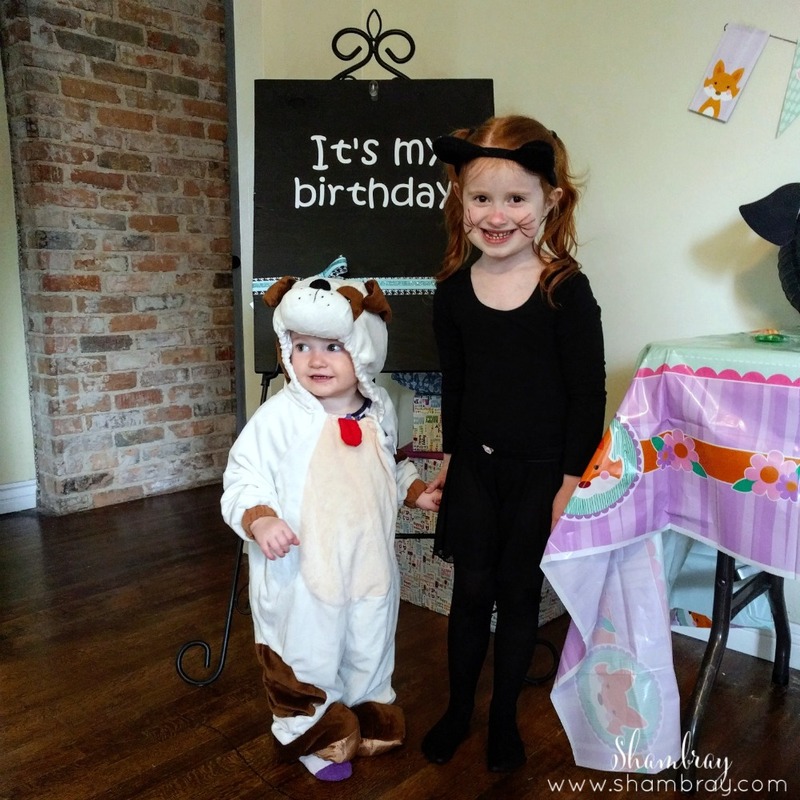 I knew I wouldn't have a ton of time or budget to throw together one of my "normal" birthday parties. 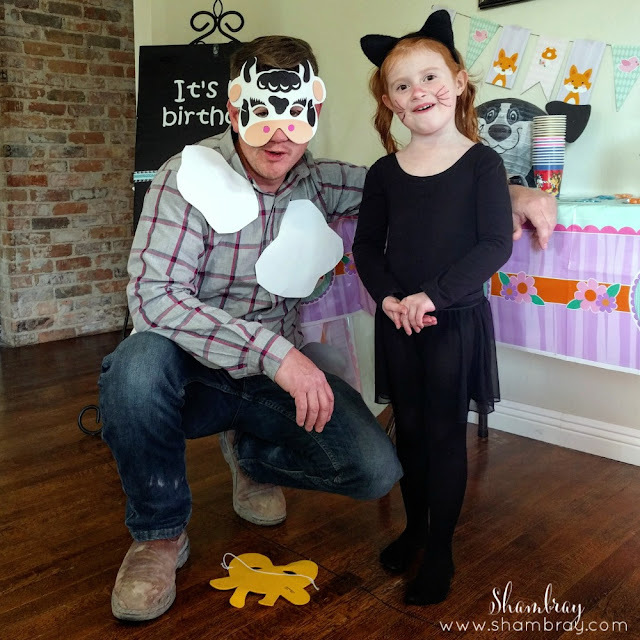 Leading up to my daughter's birthday she would talk about what party she wanted. When I told her that we were not going to do a friend birthday party this year she almost passed out. I get it. She expected what she has gotten since her first birthday. I kept telling her that we were giving her a present "bigger than our house". She still was disappointed. So I decided to compromise and I said when we do the family "party" (more like casual gathering) that we could spruce it up a bit. I had to go simple and easy. 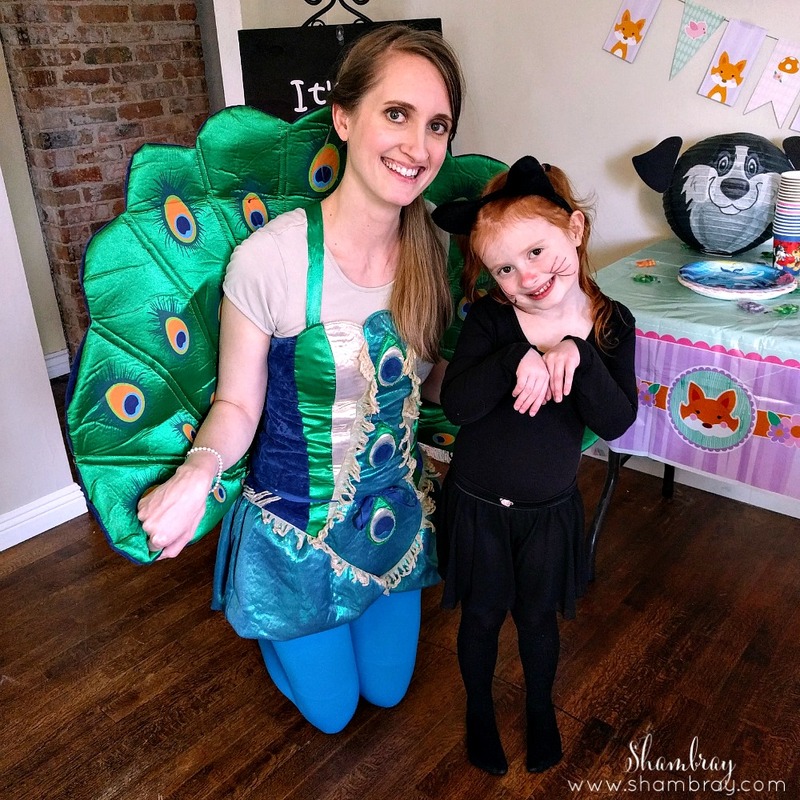 I also let her pick the theme wholeheartedly, because once again I didn't have the time or energy to fight her to put too much effort into it. When she said she wanted an animal birthday party I asked her if she meant woodland animals, sea animals, zoo animals, etc, etc. She said, "Nope. Like all the animals in the world." I laughed and kindly asked her to pick 5 that I could work with. I chose 5 because that is how old she was turning. She was fine with that. 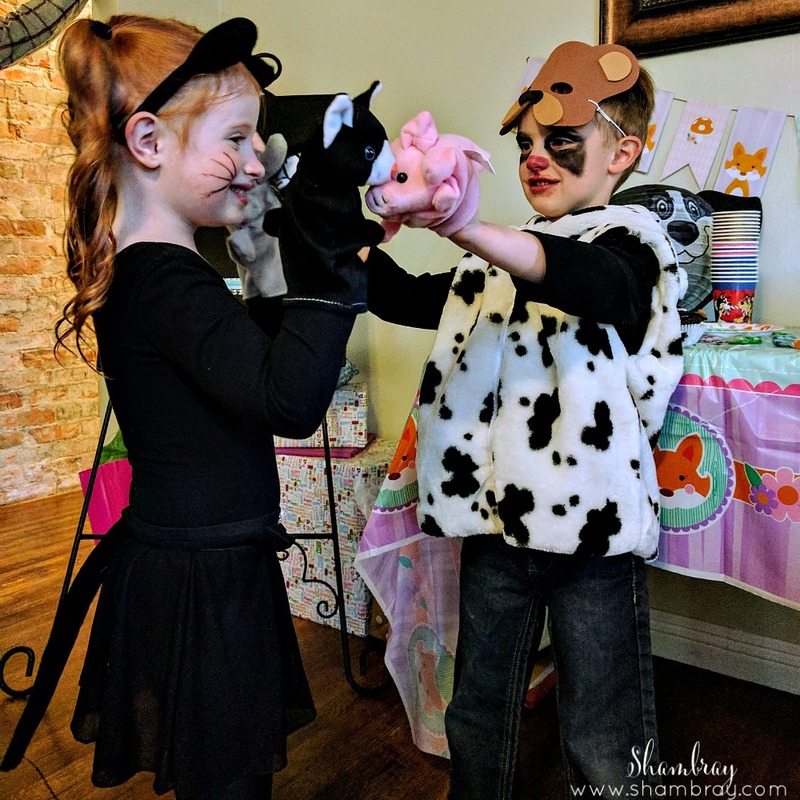 So we went with the animal theme, but narrowed it down to 5 animals. Those animals were: kitty, dog, bunny, dolphin, and fox. VERY random and VERY hard to pick a color pallet when you want to go simple. 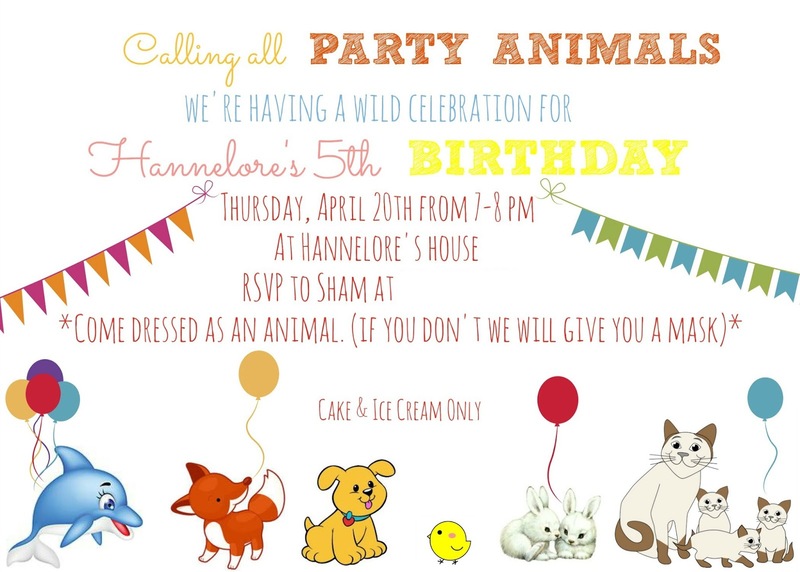 I get that I could have designed a bunch of printables and had everything match, but again I told myself that I would put together this party in a simple way, but still make it fun for her. So I did just that. 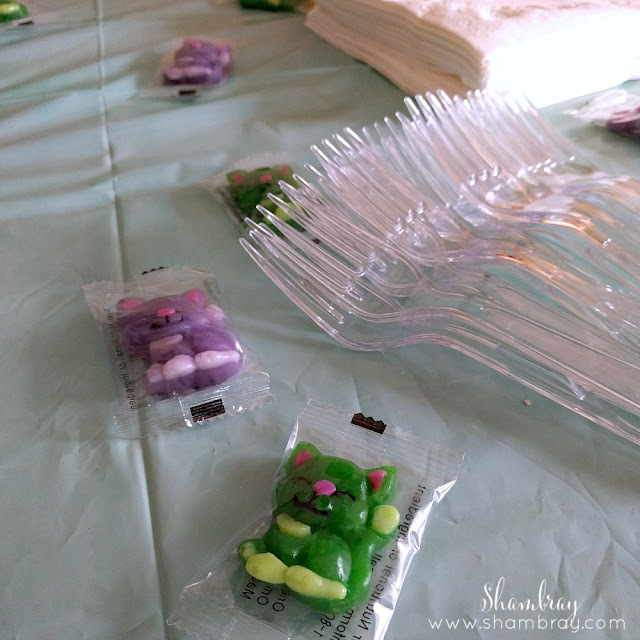 I got ALL the supplies from Oriental Trading and it was so very simple. Everyone had fun with this theme, even the grownups. 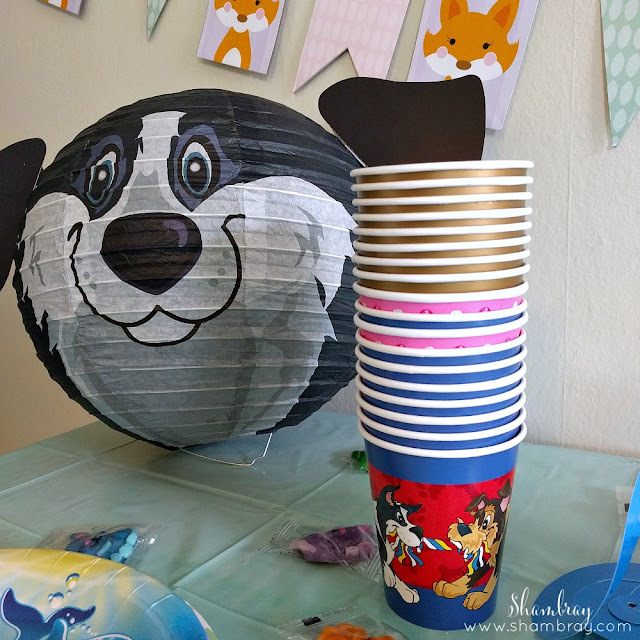 Check out the small and simple ways that I threw together this party using Oriental Trading products. I made this invitation and of course told all the guest they had to dress up. I was actually impressed with all the participation. These kitty gummy candies worked great to spread around the table like confetti. Puppy cups were a must. 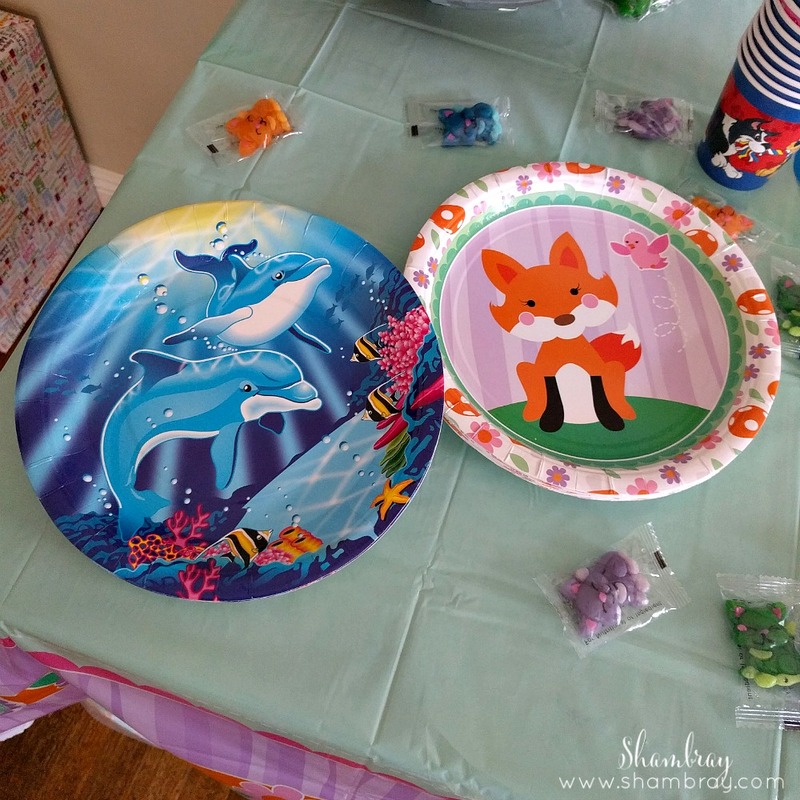 We picked dolphin and fox plates for the desserts. Again, I only did dessert so that it would be simple for me. I think the fox decorations were so cute. We got a table cloth and the cute banner that is in the back. 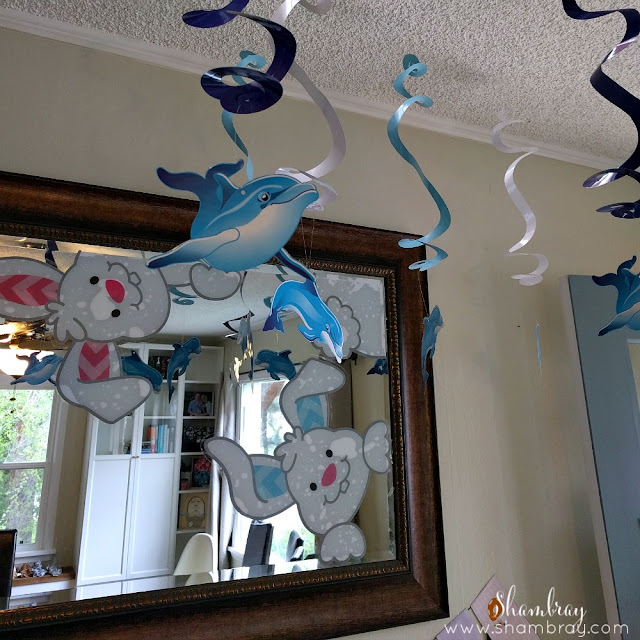 Then we hung dolphin hanging decorations from the ceiling and hung up the cute bunny window clings on the mirror above the dessert table and windows around room. 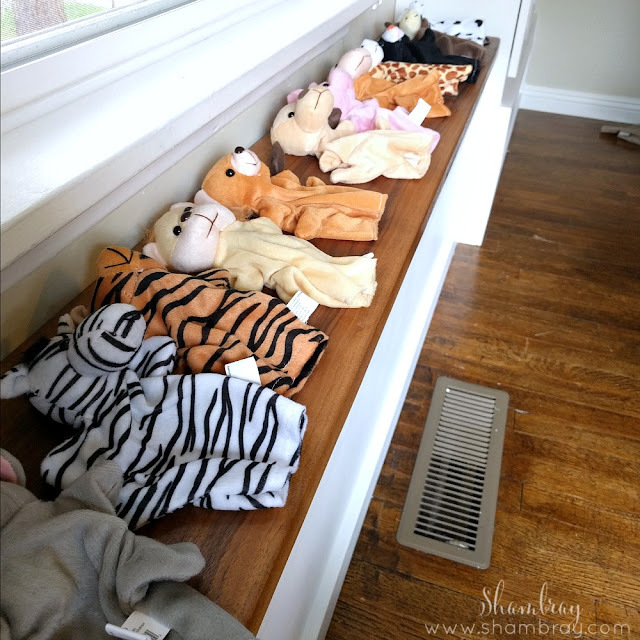 We got these puppets so the kids would have an activity for the party. 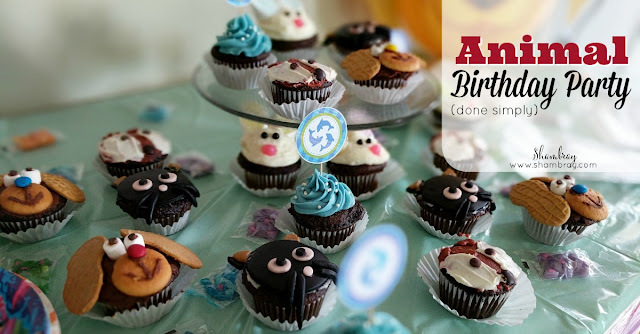 I usually do much more activities for my parties, but again I promised myself to keep it simple. 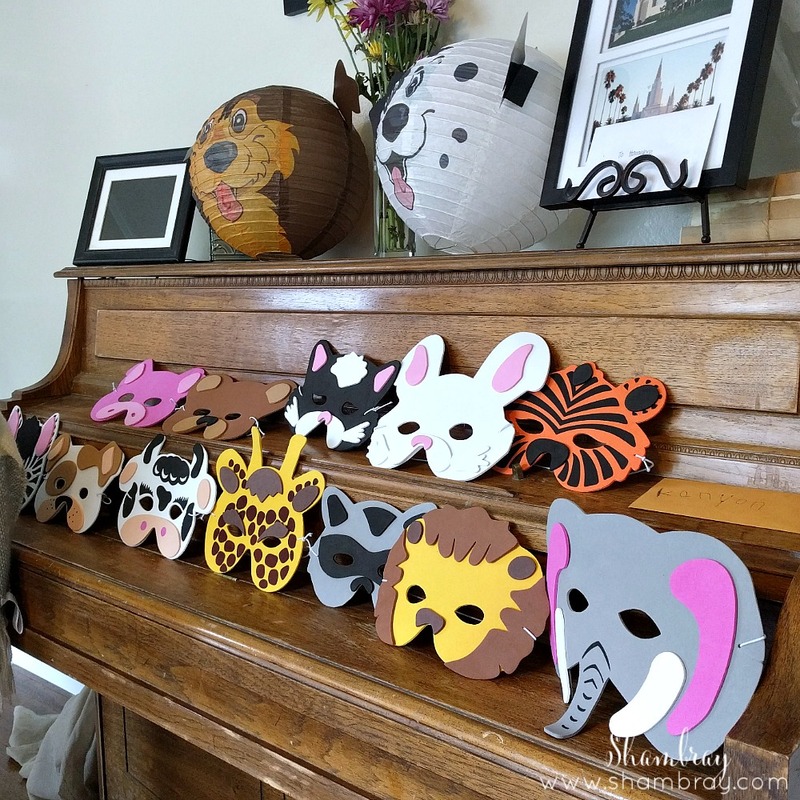 We provided these masks for any of the guests that didn't dress up. Hannelore wanted everyone to be dressed up. Also, we placed the dog lanterns around the room. I thought they were too cute! It was fun being able to throw together something and watching my daughter be beyond excited and knowing that I put VERY LITTLE time into it. Looking for other kid birthday party ideas? Your animal party turned out so cute! Isn't it nice when you can make it low stress and they're still happy? Makes me wonder why I go out at all!! Except then I remember how much I love it ha ha! Parties makes my heart happy looks like it made hers too!